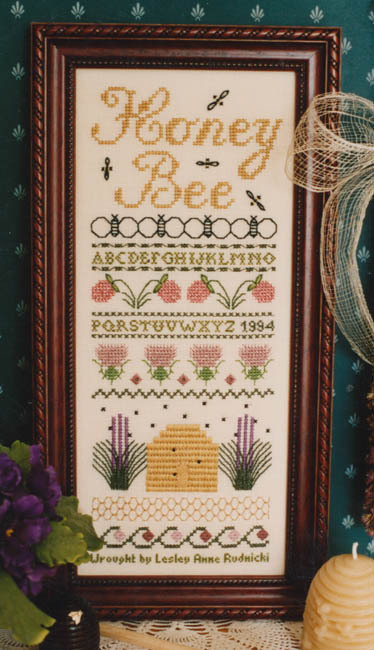 Nice sampler with a honeycomb and some bees/plants. Variety of specialty stitches are used. Stitch Count: 148 x 57. Model stitched on 25ct cream Dublin linen by Zweigart.